Chicago is a world-class steak town, but let’s face it: it’s an all-around great meat town. 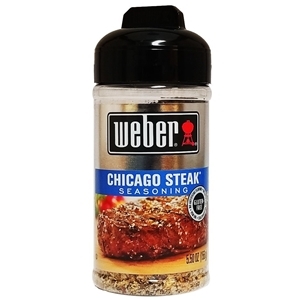 In honor of that versatility, the peppery, savory flavor of this steak seasoning is also incredible on ribs, pork roast, chicken and even salmon. Salt, garlic, spices, red bell pepper and red pepper.